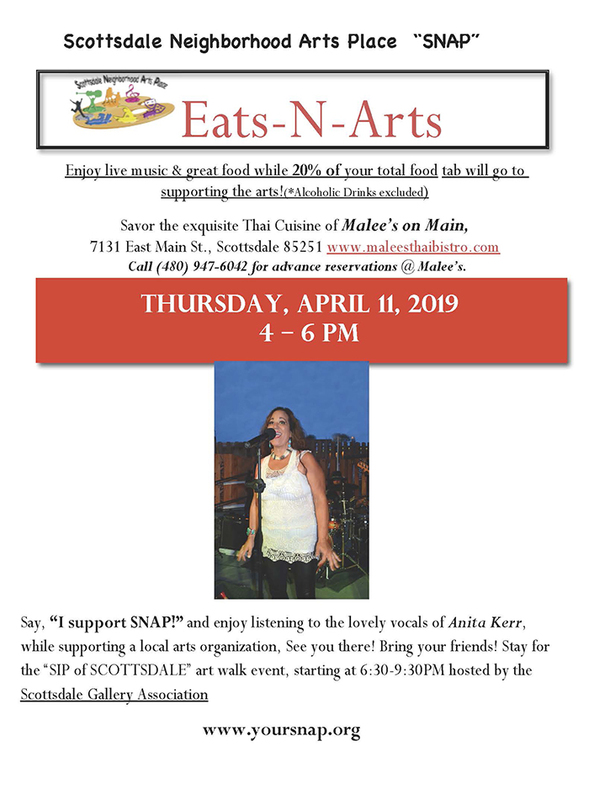 Come to Marlee’s from 4-6pm, and 20% of your tab goes directly back to SNAP plus, enjoy Sip of Scottsdale right after your meal! Finally, join the art walk in old town! A night of art in Scottsdale starting with a dinner that goes right back to your local arts nonprofit! 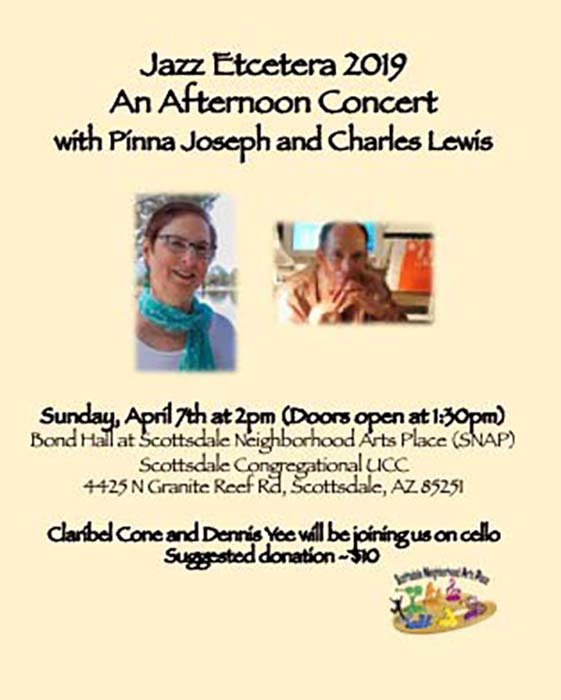 Scottsdale Neighborhood Arts Place – “SNAP” is a 501(c)3 nonprofit arts entity located on the campus of Scottsdale Congregational United Church of Christ in Scottsdale, Arizona. 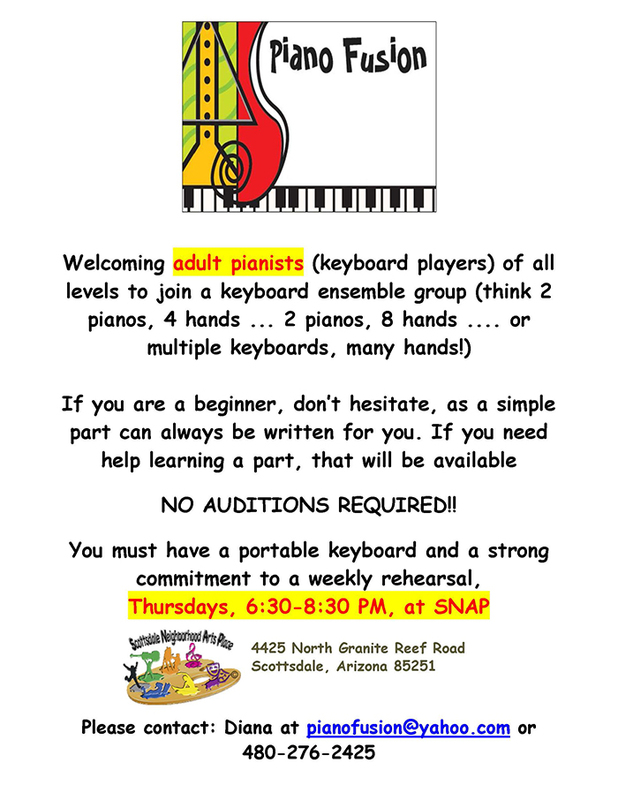 SNAP provides space for people of all ages to explore, express, and experience their own creativity. Founded in 2007 by Rev. Katharine Harts, Lisa Sampson, Jill Marderness, Carrie Abts and Dan Loven, non-profit status was achieved in July of 2009. Currently, four dedicated Directors manage SNAP. Support our mission and make a difference, please volunteer! Please note: 3% paypal.com fee will be added to the checkout total. You may also support SNAP through the Compass for your Cause program offered at any BBVA Compass Bank branch. When you open a new account at Compass, please use Affinity Code 90921 and SNAP will receive a $50 contribution from BBVA Compass for your Cause! Questions may be directed to Mike Vanek, Sr. Business Relationship Manager at the Scottsdale and Osborn BBVA Compass branch, ph 480-783-6823. SNAP thanks you and BBVA Compass for your support! "I am certain of nothing but the holiness of the Heart's affections and the truth of the Imagination." 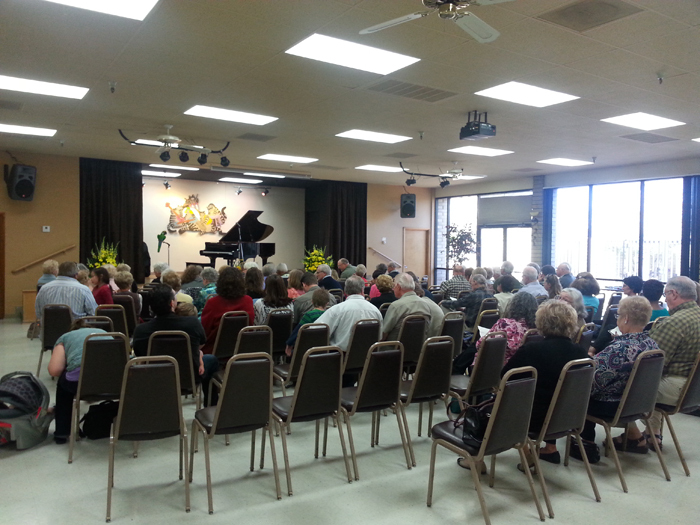 This statement written by John Keates reflects the vision of the Scottsdale Neighborhood Arts Place. It is our goal to provide a stimulating and supportive space for individuals to explore, express and experience creativity and imagination.